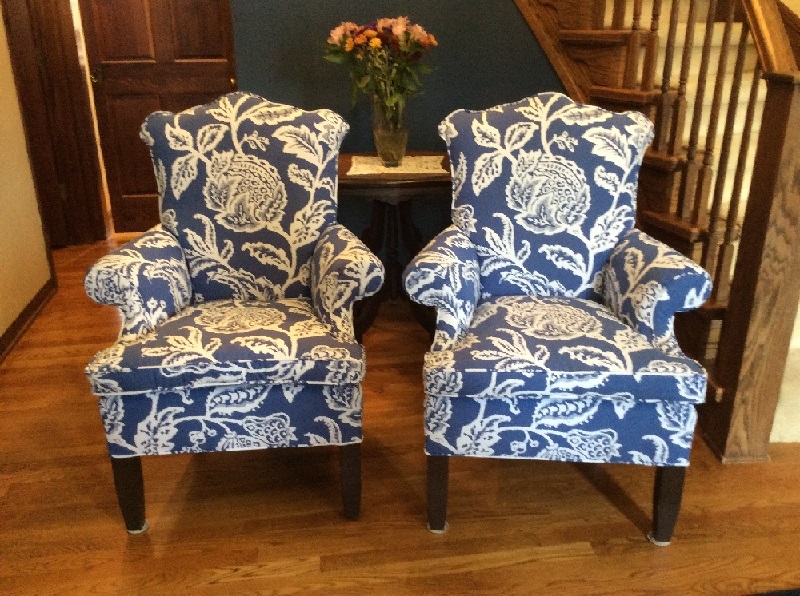 Re-Upholstered Wing Back Chairs - Sew What? Sew Anything! Go big, go bold is the slogan for this re-upholstered wing back chairs project. Look close and you can see that this fabric has a reverse side. We used the reverse side for the piping which gives this project even more of a pop. The bold design and vibrant blue and white pattern puts this project on my favorites list.